Try this new smaller diameter 12 volt groundwater sampling pump by Proactive! At only 1.44" diameter and 16" length, you can fit the Supernova 70 down 2" wells that are bent or cracked. Also great for Pre-packed well screens of 1.5" inside diameter (I.D) or larger. With the capability to pump from depths of 70 feet, most sampling jobs are covered. Continuous use rated when submerged in water and can even run dry for up to two hours without damaging the motor. Auto primed and rated for over 400 hours of use when used in water. 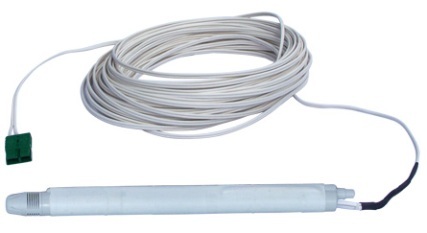 The Supernova - 70 is a compact, light and easy to use solution to your groundwater sampling in diameter challenged wells! Note: We do not recommend the Supernova Pumps for standard 2 or 4 inch wells. Measurements: Length 16" / Diameter 1.44"